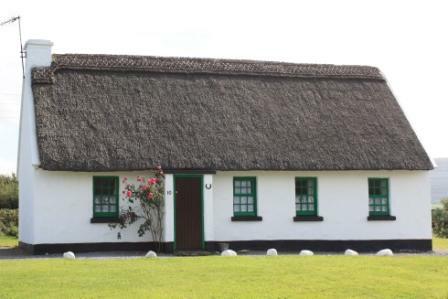 Self catering in Ireland is a great value option for families or groups, who need more flexibility and freedom then most hotels can offer, in terms of sleeping arrangements and eating. The weather can be very changeable in Ireland so it is nice to be able to come ‘home’ early and put your feet up in front of a blazing turf fire, or laze around all day in comfort if the weather turns bad. Most have well equipped kitchens if you fancy cooking or just making a hot drink mid afternoon to go with the fresh bread, scones or apple pie you have picked up from the local bakery. The Irish Landmark Trust has some great properties too, from dolls-house style gate lodges on vast country estates to lighthouses in wild and remote locations like the fabulous Loop Head in County Clare. And of course whenever I come across a self catering gem, like the recently discovered excellent Belan Lodge (only an hour from Dublin, in the heart of County Kildare and from only €250 a week)or the extra special Hidden Places group of rental properties in North Tipperary, I will list them here at the links below. You will of course come across plenty of private self catering options online and by all means take a chance on them if you fancy it but just bear in mind that all of the above have been carefully vetted and approved to Irish tourism standards of comfort and safety so you are unlikely to be disappointed.